Made for aerodynamic purposes during races, lightweight framework seems to be the main focus of manufacturers this year. Although most cyclists prefer a lighter bike to help them gain more speed during races, we will also see this aerodynamic element brought into everyday rides too. This is because lightweight bikes are not only good for speed and endurance, they are also good for travelling too, for example if you have to get onto transport or go longer distances on your commute, you will be able to lift and ride easier. Due to the influx in usage of lightweight bikes, we expect to see an increase of the signature aerodynamic shaped helmets. However, these would be engineered to allow you to wear them more often and are comfortable to wear. This would also mean that there will be more colour options and a more versatile approach to the intense shaping which would mean that you could cycle wearing it without having to maintain the perfect posture. Therefore, you can reap the benefits of aerodynamic accessories without having to compromise on the comfort of your ride, whatever terrain and route you are using. Manufacturers of active wear for sports are always experimenting with new technology to allow the athlete to get the most out of their workout. And this is the same within the cycling community, not only do brands experiment with the usage of moisture controlling fabrics, heat retaining features and much more, but some are now breaking into the technology realm. And we expect to see a lot more technical advances with clothing this year and in the future. Currently there are a few amazing tech gadgets which are accessible for riders. 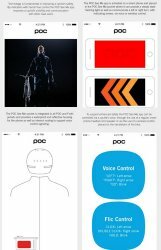 For example, POC has a commuters’ range of products, and one of these is a jacket/gilet which contains a reflective pocket. This pocket, however is not an average place for storage, it actually can be used as a rear light by downloading the POC See Mee app on your phone. This combination of high visibility safety and smartphone technology will have riders itching to give this type of new trend a go. Along with the advancement in high-vis tech, you can also purchase magnetic lights which can be easily attached to your clothing anywhere on the body. As they do not require permanent fixation to your clothes, you will be able to feel confident that you are visible to other road users without having to get the needle and thread out and sew a reflective patch on your new sports jacket. However, if you are looking for a safety investment when it comes to being seen, you can order a specially designed rain jacket manufactured by Metier. This coat in particular not only keeps you protected from an unexpected shower while riding, but it also contains integrated LEDs to enhance your visibility in poor conditions. 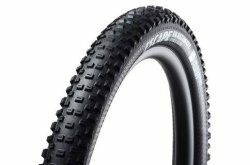 Although tubeless tyres have been used on bicycles for a number of years, especially on mountain bikes, it is only now we see them being used on other terrains too. For example tubeless tyres can work seamlessly with road, gravel and cross bike frames to create a comfortable and stable ride on tricky terrains. 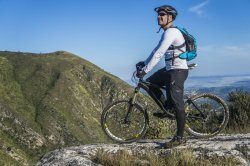 By opting for tubeless tyres your bike will be able to take on a wide range of terrains other than the standard road tyres, which means you can experiment more with where you cycle, and also have a satisfying ride in each of the areas too. Also down to the fact that gravel cycling is gaining in exposure, if you currently cycle with a group or are training by yourself, you can switch up how and where you cycle easily. And with the added bonus of investing in tubeless tyres, this transition has never been simpler. As you are switching your scenery and terrain up frequently with your group or on specially designed routes by yourself, you will be able to benefit greatly from understanding your bike’s capabilities more and enjoy the exploration aspects too. We also expect to see gravel cycling tracks included in biking events and competitions too due to its increase in popularity and widespread participation. Therefore, if you love biking on a gravel track, and also want to compete and show off your cycling skills, 2019 is the year you can start combining the two effortlessly. For a few years now the use of virtual reality in sports has really impacted the way we train and prepare for competitions as you can now train at home too. And this is considerably appealing for those who take part in sports which require equipment and the use of a specially designed arena or track. 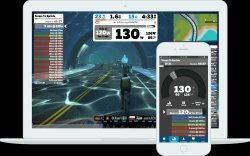 However, this year companies such as Zwift are starting to break into the racing and competition world for cycling athletes. This means that by selecting your skill level on the system you are able to take part in coordinated events with other users and race to the finish line while riding a static bike at home. Although you don’t reap the benefits of outdoor cycling such as fresh air, captivating surroundings and real track under your tyres, this type of racing can appeal to many. This could be beneficial for races scheduled in the winter time where it is difficult to get outside on your bike, along with being used to prepare for bigger real life races too. Reportedly there are already four UCI Continental teams signed up for the KISS Super League on the Zwift after its launch earlier this year. Have You Tried and Tested Any of These Biking Trends Yet? In this blog post we have explored four main cycling trends which we will see rise in 2019. From advancements in bike tech, clothing and the ability to incorporate VR into races, there is certainly an appeal to these new trends in biking. Do any of these sound appealing to you? Have you given any of them a go already? Did this article inspire you to cycle more or embrace a new trend? Then you can let us know over on our social media pages where we would love to know your thoughts on the ever-evolving sport. You can also shop our wide range of high quality Cycling gear and accessories suitable for all ages over on our online store – Sports Fitness.